UK GDP grew by an estimated 0.4% in Q2 2018, and the trade deficit narrowed by £6.2 billion in the 12 months to June. 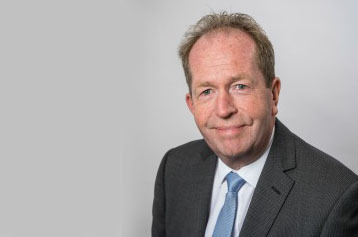 In response to this Martin McTague, Federation of Small Businesses (FSB) Policy Chairman said: “We’ve seen confidence among small firms rise over the past two quarters and it’s good to see that positivity reflected in today’s figures. “Lots of small retailers, pubs and restaurants will have seen sales rise in the past three months thanks to a good World Cup run and a royal wedding. But we need to remember that, over the long-term, these firms are facing a perfect storm of high employment costs and rising business rates. “Small exporters have been consistently bullish over the past year, thanks in part to a weaker pound. The widening of the UK’s trade deficit throughout the second quarter of 2018 is concerning though. “With this in mind, it’s crucial that, as we enter a pivotal few months for the Brexit negotiations, it is essential a framework for the future partnership is agreed with the EU, including trade, which can benefit the whole of the UK economy. We must be proactive to ensure that businesses have the support that they need to withstand the uncertainty that will exist until negotiations are concluded. Our entrepreneurs are under pressure from increasing costs relating to employment, rent, and tax including business rates. “The strength of the UK’s economy rests on helping more small firms to export, and increasing the potential of existing exporters. Central to this is ensuring that there is a good long-term trading relationship with our export partners as well as providing greater support to smaller firms.